Our factory opened in Yokohama in 2001 and we moved to Kawasaki in 2003. Our factory has many machining tools and special tools for custom build. We are Harley factory Hide Motorcycle aka Hidemo. 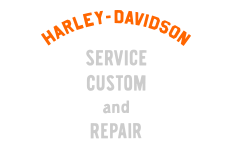 We build original custom Harley-Davidson. Our custom Harley won Best Of Show Motorcycle in Yokohama Hot Rod Custom Show 2006 and 2007, and the second place in Jammer Cycle Award 2007 , the top ten in AMD European World Championship 2007, the second place in NEW ORDER CHOPPER SHOW KOBE 2008, HOT ROD CUSTOM SHOW 2008 Sinners Award. Our bikes have graced the covers and pages of many custom motorcycle magazines around the world. Our founder HIDE has over 15 years experience in the motorcycle industry. He liked vintage American racers from old magazines and photo books. He thought old racer designs are rare, warm, natural and interesting. Therefor he wanted to build an original machine (something from the good oldies racing culture) by him self.